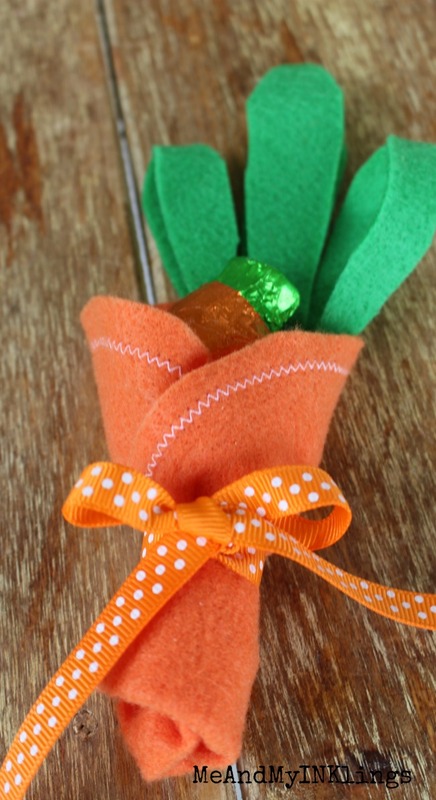 Create easy felt carrot utensil and treat holders for a fun Kids Easter Table! 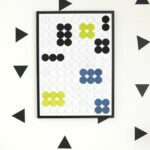 I love working with felt! Being on the Kunin Dream Team is such a fun little piece of my creative career. 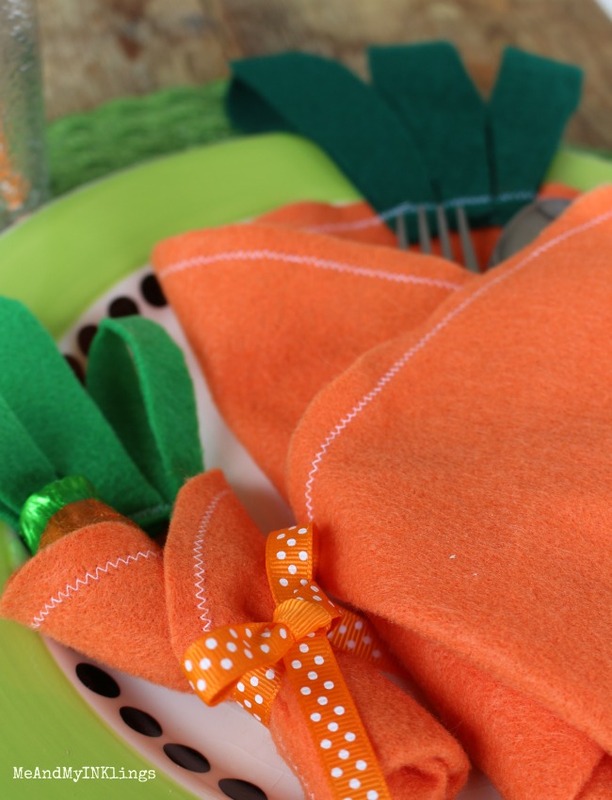 Over on the Kunin blog I shared a felt carrot wrap for silverware. 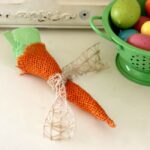 I added to it here and create felt carrots for place settings that are perfect for the kids’ table at Easter. 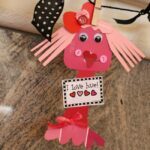 Kids love to feel like they are special on holidays. 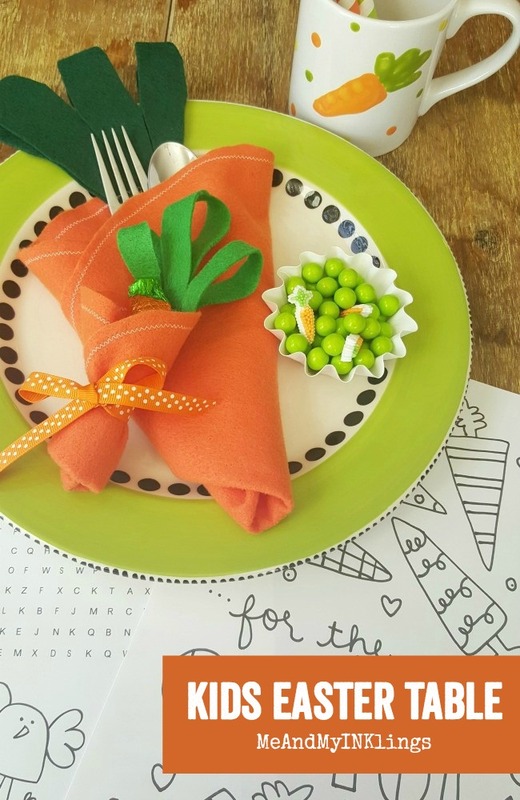 I always add a little bit of creative activity and something sweet for the kids at their place settings too. 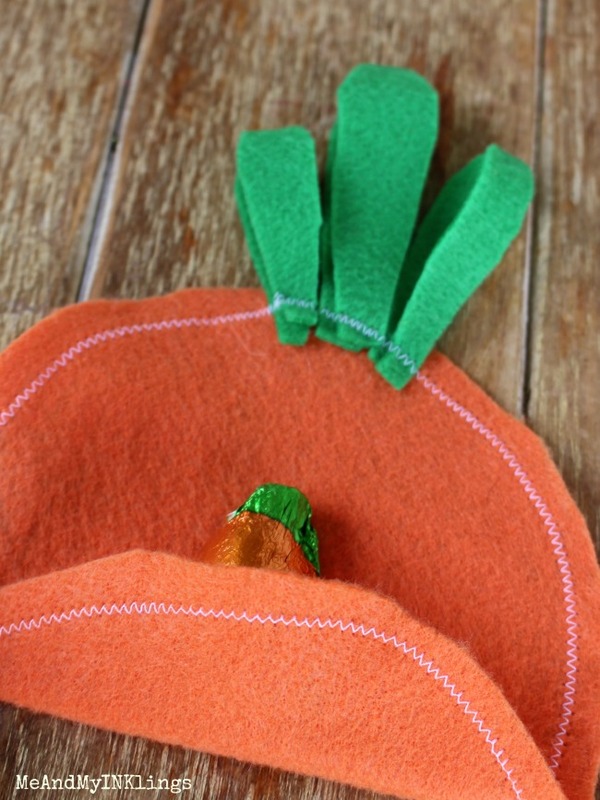 To actually sew and create the carrot wraps, hop over to the Kunin blog to find out how I did it. After they are done, here are your steps to fold them up with treats. Aren’t they darling with the silverware in the bigger version! My boys are teenager now and when it comes to holidays, they would prefer sitting with the little kids because it means extra treats and avoiding boring adult conversation. I usually let them because the little kids admire them so and it makes them all so happy. 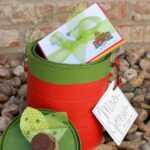 Of course they would rather have gift cards or money in their carrot wraps over candies. 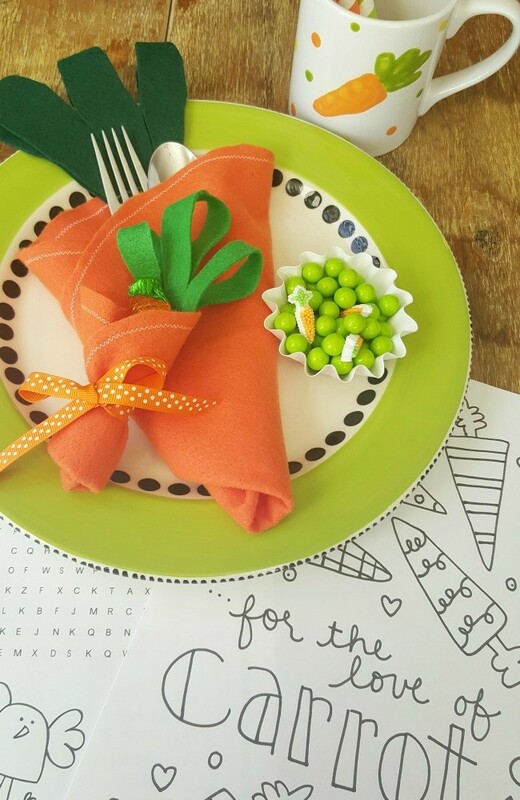 If you want to put the carrot printable at your kids’ table too, you can grab it HERE FREE! 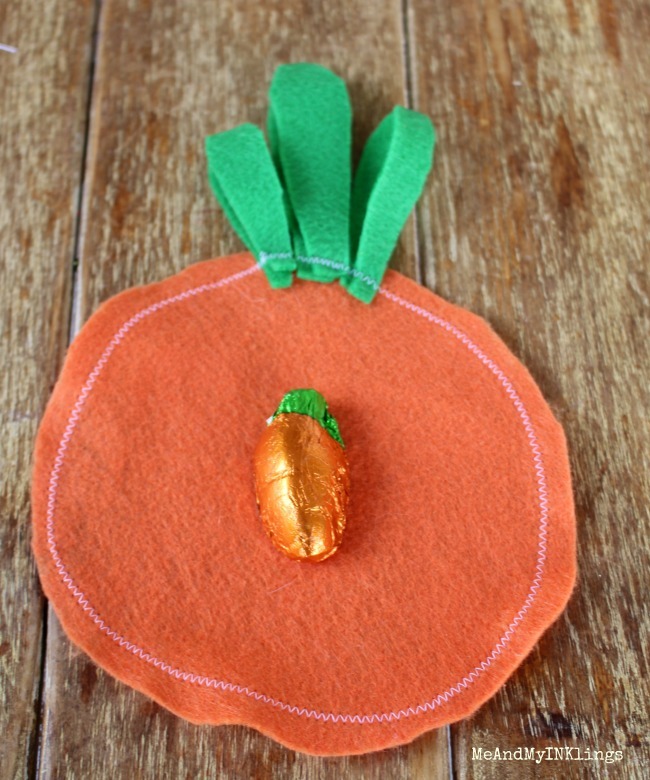 Here are four more fun carrot projects that you can find over on my blog. Yes, I am a little over the top when it comes to carrots! 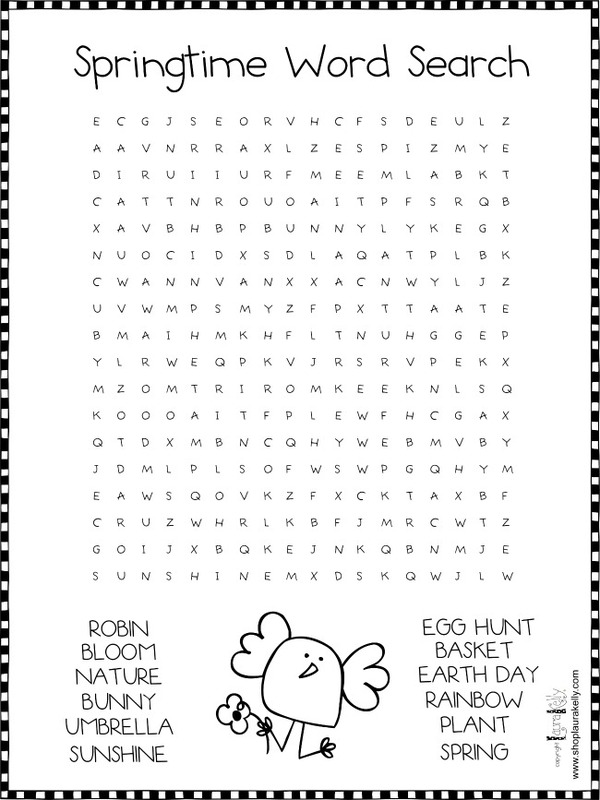 Some of these could be used for setting the kids’ table for Easter too. 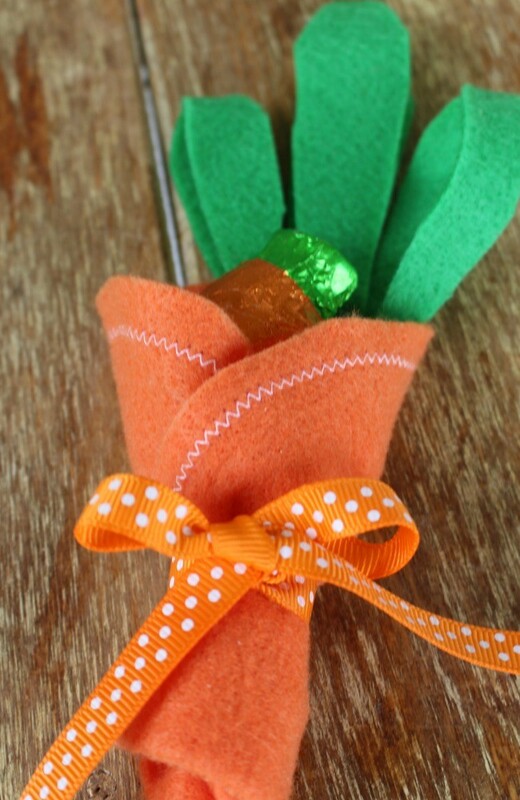 These would be really fun crafts for an Easter party too, especially painting rocks for little kiddos. These are adorable! 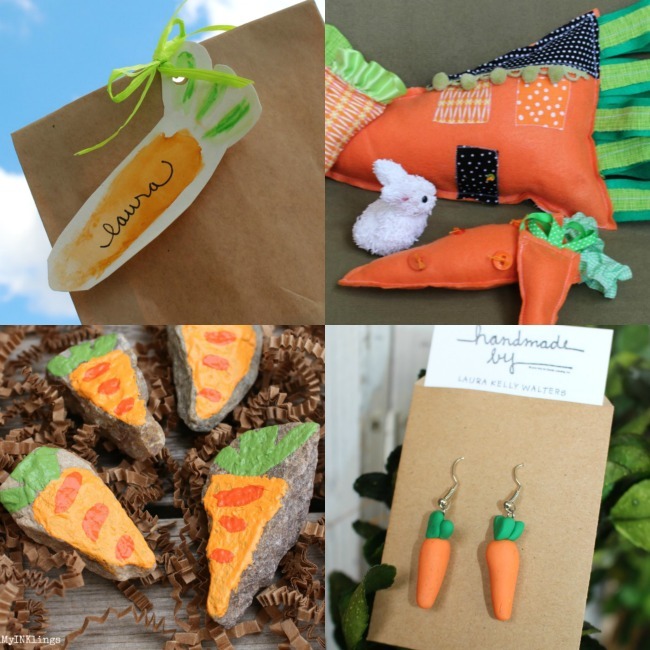 I love all of Laura’s carrot crafts!